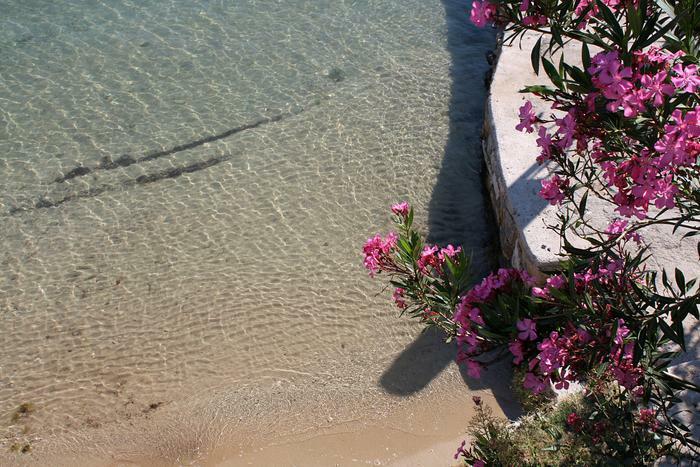 Welcome to island Rab, the island with most sandy beaches on the Adriatic! Maybe that's why the Romans called it Felix Arba – the island of happiness. The Lopar peninsula has the most sandy beaches -and among them is the most famous, Rajska plaža (Heavenly beach). The stone beaches are located on the west side of the island, the sandy ones on the north side, while the pebble beaches are on the southern end. 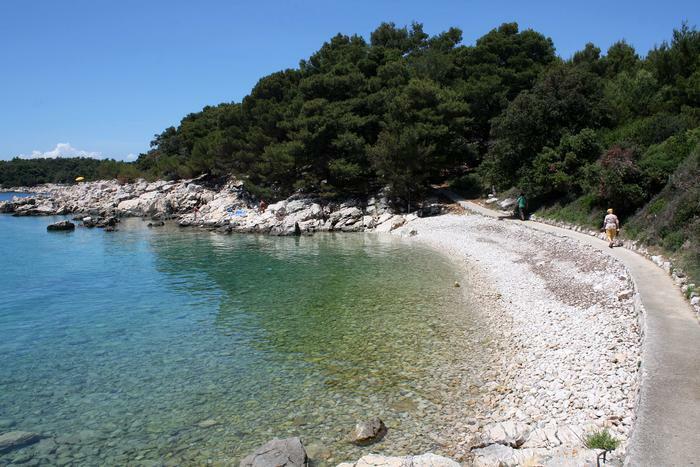 Read on and see our list of 4 most beautiful beaches of Rab. Book an accommodation on Rab and immerse yourself in its magical beaches. This sandy beach, named after the famous African desert, is a nudist beach north from Lopar settlement. It's very near to another sandy beach – Rajska plaža. Get to Sahara by foot (it takes around 30 minutes), or if you want to admire it from the open sea, you can get there by boat. Unlike the African Sahara, there's grenery but not much shade. Still, this beach will be loved by all of you searching for privacy because there are no caffes or restaurants. However, that means you have to prepare everything neccessary for your stay there. It's worth mentioning that this beach was named by CNN as the number one world nudist destination. 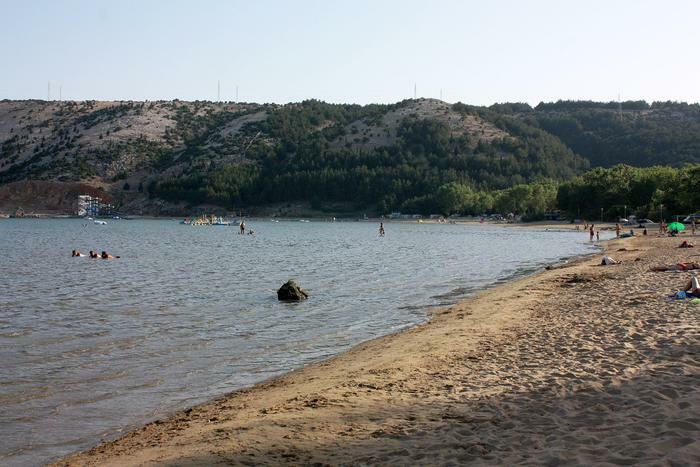 Along with Sahara beach, also mentioned were Ciganka and Stolac beach, also nudist beaches. Rajska plaža definitely deserved its title but also its Blue Flag. This fine sandy beach in the settlement of Lopar is stretched over one and a half kilometers. It has a short shoal so it makes it perfect for playing with the kids, building castles in the sand, also for playing sports like picigin. Along with caffes, restaurants, parasailing, there's also a safe guard. Also, the clear sea is perfect for exploring while snorkeling. 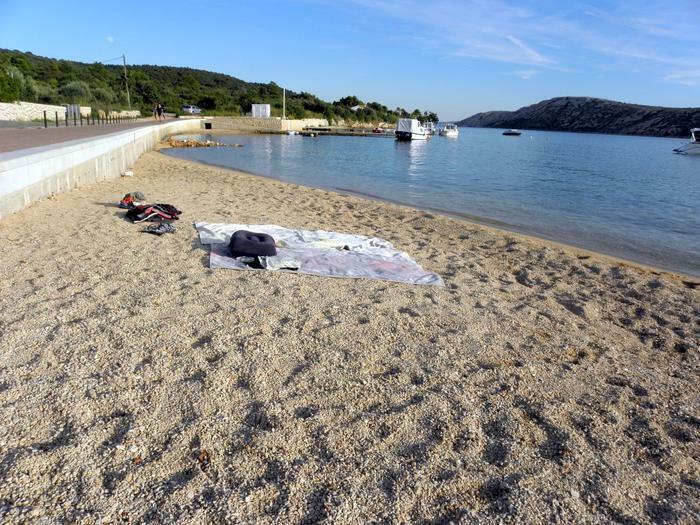 The next beauty on our list, Pudarica beach is located on the southern part of Rab, in the settlement of Barbat. This is another beach that will be liked by families with children, young people, and also senior guests. The tiny, fine sand makes the entrance to the sea a real stroll. With nightfall, this beach, that is, Santos club that is located there, becomes centre of Rab's night life. Get here by bike, car or a boat. Parking spaces for cars are free. 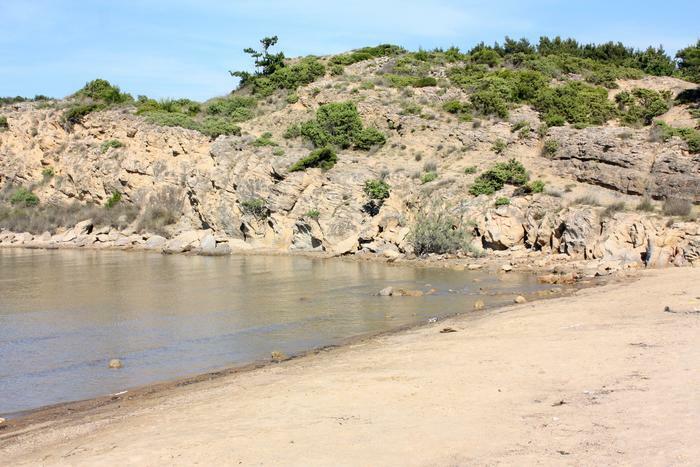 For those not afraid of rocks and pebbles, and also for those who think that their stay on a beach is not complete without shade and the scent of pine trees, we recommend the hidden beaches of Suha Punta settlement. Although a bit off the beaten path, here you can find everything you need, from caffes, restaurants to different entertainment like tennis courts or volleyball on sand.